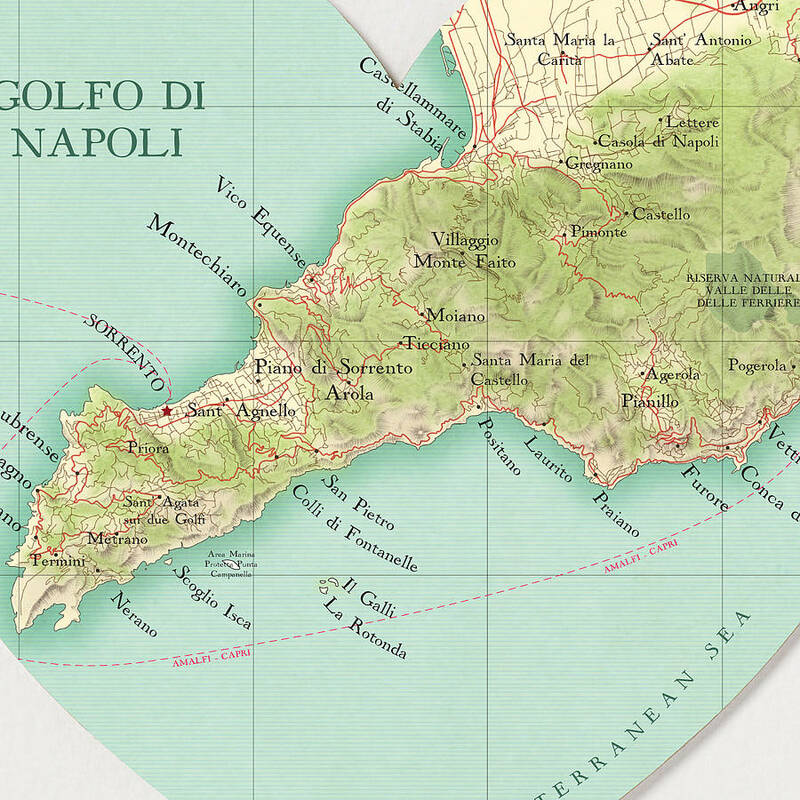 Beautiful hand drawn a vintage map of the Amalfi Coast Italy. 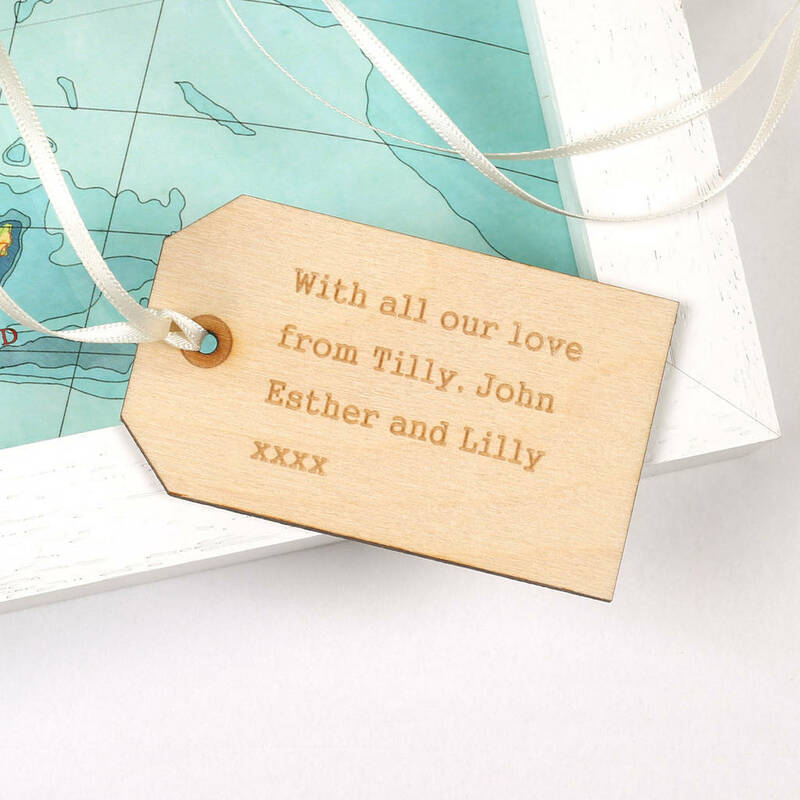 A romantic wedding or anniversary gift featuring a special honeymoon or wedding map location. In vibrant blues and yellow ochre, the map shows the stretch from Positano in the east right down the southern coast to Costanzo and also features Sorrento on the northen coast. Sent to you carefully gift wrapped in tissue paper, with a gift tag for your own message. We can make your map heart using any location you choose. If you would like a different location please specify this when placing your order. Would you like to personalise your gift? We can add a personalised engraved wooden tag to the back of your frame. Sent to you carefully gift wrapped in tissue paper, with a map tag for your own message. 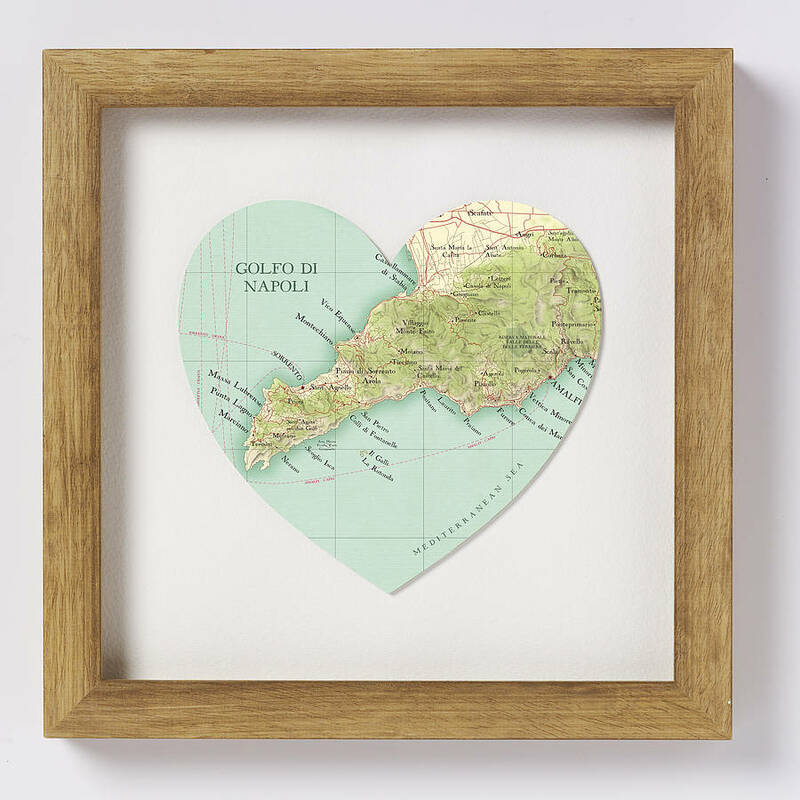 We can make your map heart using any location you choose. If you would like a different location please specify this when placing your order. Would you like to personalise your gift? We can add a personalised engraved wooden tag to the back of your frame.